A special occasion calls for a memorable space. The Stables above The Exchange is a completely private entertaining space that can accommodate up to 35 seated guests or 50 guests for standing receptions. Named after the original building, Shrader Stable and Livery, the room features original wainscoting, arched windows, exposed brick, a private bar and restroom, A/V ready 60” LCD television, and wonderful views of the Sherman Minton Bridge. It is the ideal location for daytime and evening events, wine tastings, holiday parties, and cocktail receptions, one that your won’t forget. Wonderful atmosphere, superior service and amazing menus all come together to help create your distinctive event. Whether it’s an intimate dinner for six, an elegant celebration for 30, a cocktail event for 50 or even taking over our restaurant, our private dining coordinator can assist you in hosting your next private event. 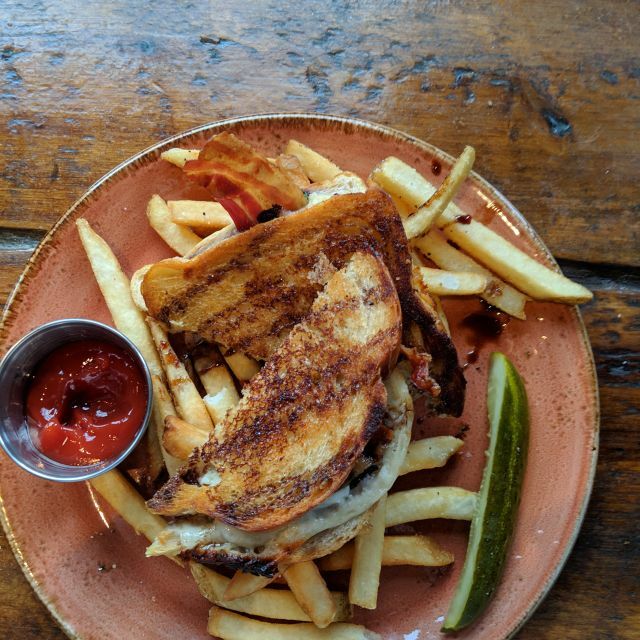 Housed in a historic Italianate style building which was constructed in 1875, The Exchange pub + kitchen is owner Ian Hall’s take on a warm & casual neighborhood gastropub. 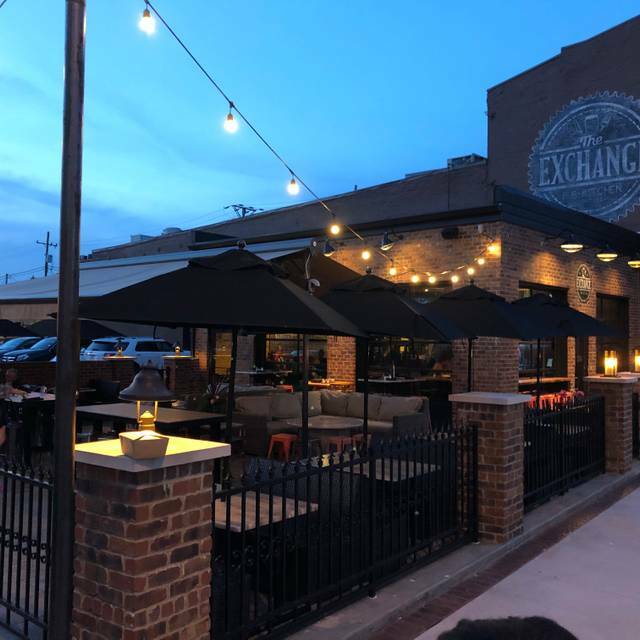 Featuring a 15 seat bar, 120 seat dining room, 16 seat outdoor cafe, & a 50 seat private dining space, The Exchange pub + kitchen offers many different dining options. Executive Chef Joe Horneman's rotating seasonal menus are the focus of The Exchange pub + kitchen. Locally sourced products & scratch ingredients are the emphasis of the kitchen. Guests will enjoy views of the open kitchen as the chefs showcase their culinary skills. The bar program is highlighted by American craft breweries with 12 rotating draught selections and 12 by the bottle options. The bar staff creates cocktails made from house-made syrups, bitters and premium spirits. The wine portfolio focuses on smaller boutique wines, giving guests the chance to indulge in something new & exciting. The food & beverage menus rotate seasonally. The Service and menu was fantastic! Our server, Shawn, was upbeat, energetic and knowledgeable about the menu and specials. The food was excellent. Our party of 6 had 5 different entree and everyone was very happy! This restaurant is one of our favorites. There are no weak spots here. Came to celebrate a birthday. Food and company were great. They loved it... and said they’d be back! Great dinner and atmosphere! The live music was a nice addition! Great service and exceptional food. Would defiantly recommend this restaurant to anyone in the Louisville area. Tried Baby Back ribs and they were excellent, my wife had the salmon and she said it was excellent. This pub is dependably good. I highly recommend them to anyone looking for a relaxing place to get some really great food in New Albany. The atmosphere is outstanding. But no matter how fun the atmosphere, no place can be successful without really good food. And they deliver on that score. Always excellent, and I’ve had numerous items on the menu over the past several years. Loved the food. Service was great. Will definitely be back. 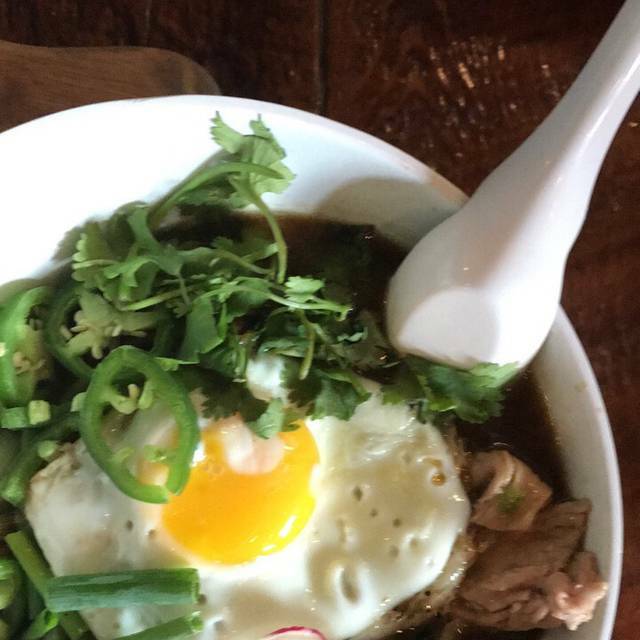 Great and unique food and atmosphere. Tons of beers and spirits to be enjoyed. Definitely stop by for a drink to at least check out the interior - totally worth it. It's a great restaurant to have a fantastic meal, whether lunch or dinner. 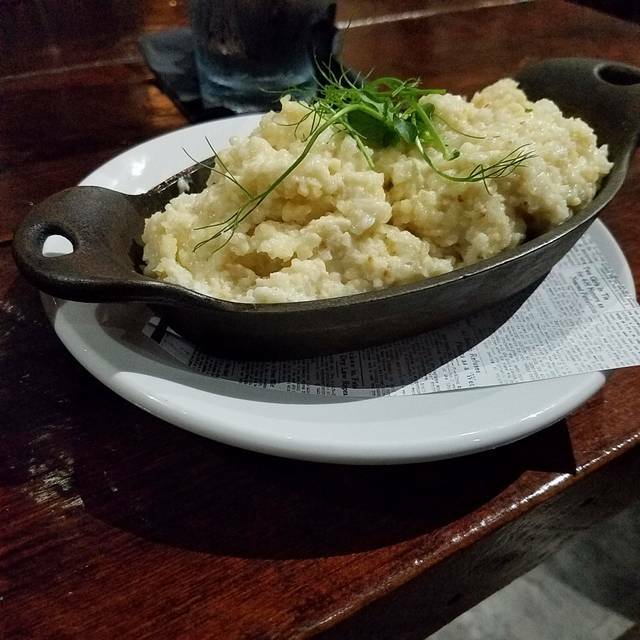 The menu has plenty to offer everyone, including some gluten free options. The only drawback is the lack of Vegan options, though they do have the Impossible Burger. The ambience and decor is really fresh and cool. The service is friendly and efficient. And our food always comes out fast. Overall, this is an awesome local kitchen/pub to get great food at a reasonable price. I do recommend getting a reservation though if going to dinner. The food was wonderful, creative & very good as were the mixed drinks. We will go again but not on a regular basis as was a little more than we generally spend going out but was very good for a special occasion. Still the best place for friends and fun for dinner. Our meal was fantastic, and they have the most comfortable booths I've ever sat in. However, our waitress was absent, and that made the meal difficult. At one point, she walked to our table to ask if we were ready to order, pulled out her pad after we said yes, and then just walked away. Couldn't get refills. We were there two hours, and the first third was waiting to place our order. The quality of the food and the general setting made up for it, but it started out as a very frustrating experience. This restaurant is loud, so if you want to talk to your party, it is difficult when the place is full. Food was average to good but overpriced. My $24 dinner did not come with a salad or bread basket. Drinks are quite pricey too - $12 for a glass of wine and $8 for a craft beer. The good side was that our reservation was ready on time and our server was friendly. Probably will not return anytime soon though. The food was delicious and the ambience very appealing. 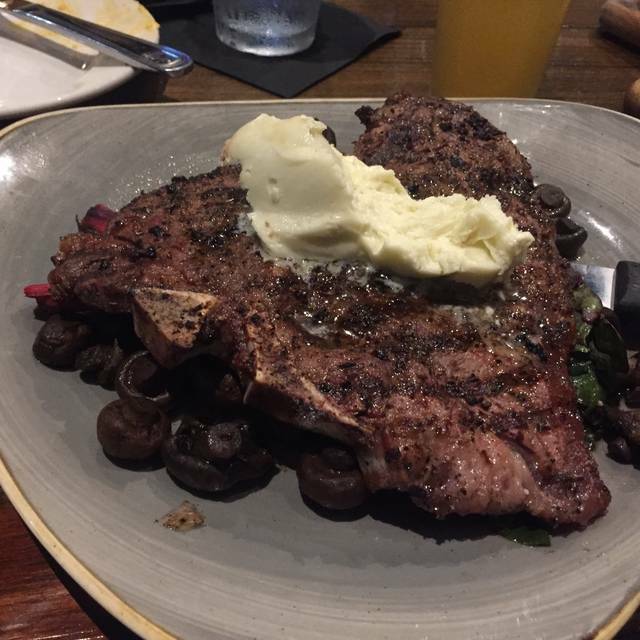 I had the Flat iron steak. It was cooked perfectly and the corn on the cob was delicious. I was debating on either the steak or the NA hot brown I’m glad I chose the steak. My friend ordered a burger she said it was very good. Her husband ordered the hot brown, didn’t like it so much. We ordered dessert, the chef’s whim which was pineapple upside cake with mango sauce. It was enough to share but we all thought it was dry, cold and had no sauce. We told our server and exchanged it for the brownie with salted caramel ice cream. Awesome!!! I've been here several times and always thought is was just ok. This time however, we thought it was great! Not sure what changed but the quality of the food seems to have gotten better. Great food and great service! I loved the atmosphere and it was easy to find a parking spot. Made a reservation on Open Table to this place that I had not yet visited....great atmosphere, staff and food. Recommend this to anybody. Fun, lively atmosphere. Food was fantastic and our server was exceptional. First time here and will definitely will come back. Great food, great service. The Exchange never fails to provide quality in all areas. Blake was our server, she did an outstanding job. Our meal was delicious, as always. 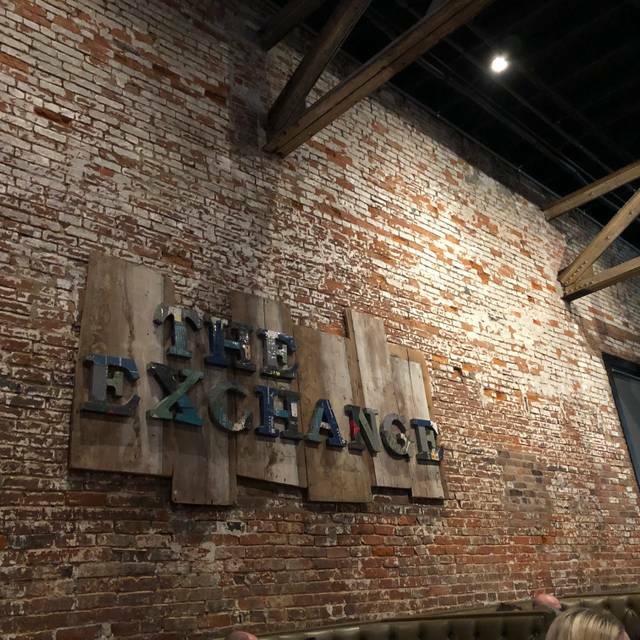 Love our visits to The Exchange! Everything was great. Our waitress was excellent, very attentive without being smothering. Received great service without feeling "hovered over". Excellent food. Never had a bad experience at this establishment. Got our table on time, service was great and so was the food. Date night with friends. The atmosphere, starters, and drinks were fantastic. Entrees were pricey for what was served. Our server was attentive to us on a busy night. Overall, it was a very good experience. Alex always provides excellent service. The food is always consistently well prepared. My wife had the gnochhi and I had the pork chop. Both prepared perfectly. Great restaurant. Our waiter was great. I don’t think he’d been working there long but he was very attentive and personable. I had the Hot Brown and it was just okay. I’ve been there twice now and both times the food had been only average. 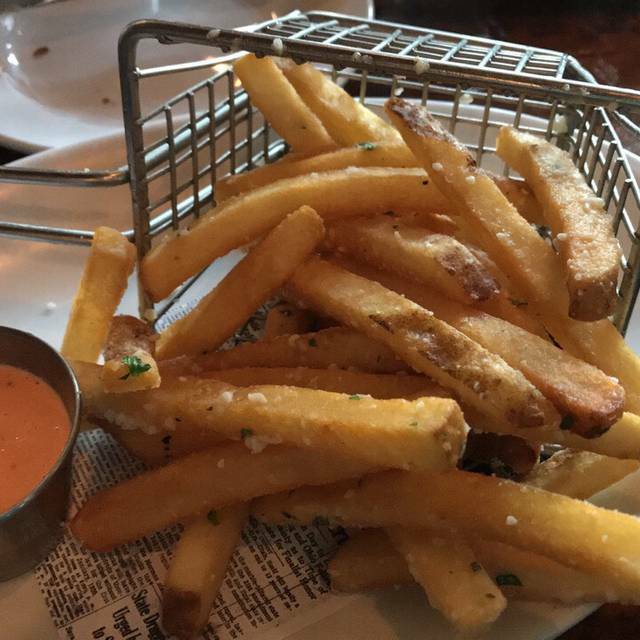 Love the steak frites, my favorite. And the fish and chips are awesome too! Food was great and service was exceptional! I will definitely be back soon and recommend. Great service and wonderful food!! It’s nice to see New Albany with a real nice restaurant!! Love the additions!! My husband and I went here for a late Valentines Day dinner. The atmosphere was fantastic and the food was great! Our waitress was very friendly and offered good recommendations when I asked. We were already planning our next trip as we were walking out the door. Can’t wait to come back! Great food, service, and atmosphere!! The food was outstanding. This was our first visit. We were heading home to Louisville after a trip to Starlight winery. This place is a gem. The crab stuffed grouper on lemon mashed potatoes was incredible. And the cocktails were delightful.